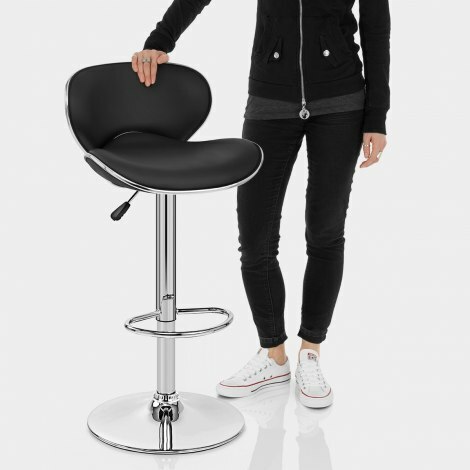 The stunning Duo Bar Stool Black has sleek style. The Duo is a contemporary design that manages to have a retro flavour embedded in it, and will therefore suit any environment, be that in the home, such as the kitchen, breakfast bar or dining room. Covered in black faux leather and accented by a chrome trim, it is a superb design. 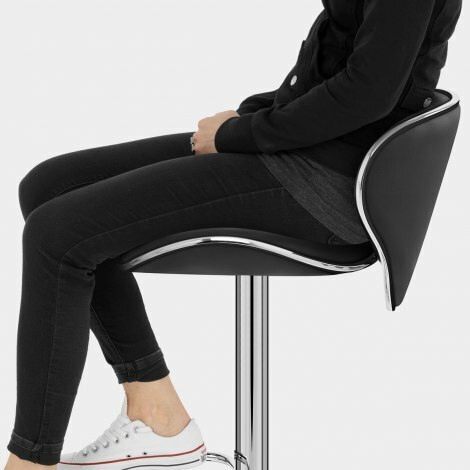 The seat and backrest are both contoured to provide the utmost in comfort and support. This is consolidated by the ample amounts of padding beneath the soft faux leather surface. 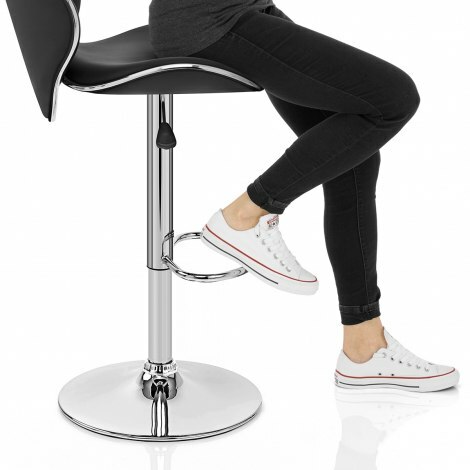 Further features enhance the desirability of the Duo; a beautiful footrest crafted from chrome plated tubular steel, a sturdy base with rubber protection for your floor, adjustable height gas lift and 360 degree swivel mechanism. "Impressed with both the quality of the product and style"
Nice looking, comfy, and serves its purpose well. Delivered on time, no issue for quality. I bought 4 of these about 8 years ago and have been very pleased with them. However, the most used one was getting a bit shabby so I decided to replace it. The quality, form and function is no different so I remain a very happy customer. This seemed too good to be true, good value, quality product and free next day delivery. Easy to assemble, looks great and we are very happy with our purchase. Thank you! Delighted with the product - easy to assemble and great quality. Very pleased with the service too. I made a mistake in choice of colour, but it was rectified immediately.